It's never been easier to get your photos restored than it is today. Just bring in your photograph and we will scan it. In three to five days come back to our store and pick up your prints. It's that easy! We can take your torn, faded, folded stained or discolored photographs, and with skill using digital imaging, most photos can be restored to good as new! Photo restoration may look like magic, but it's really just an artistic application of today's technology. When your photo is scanned we actually create a digital version of your photo. This is the image we can work on. Our staff combine skill and creativity to repair any damage and restore the picture. 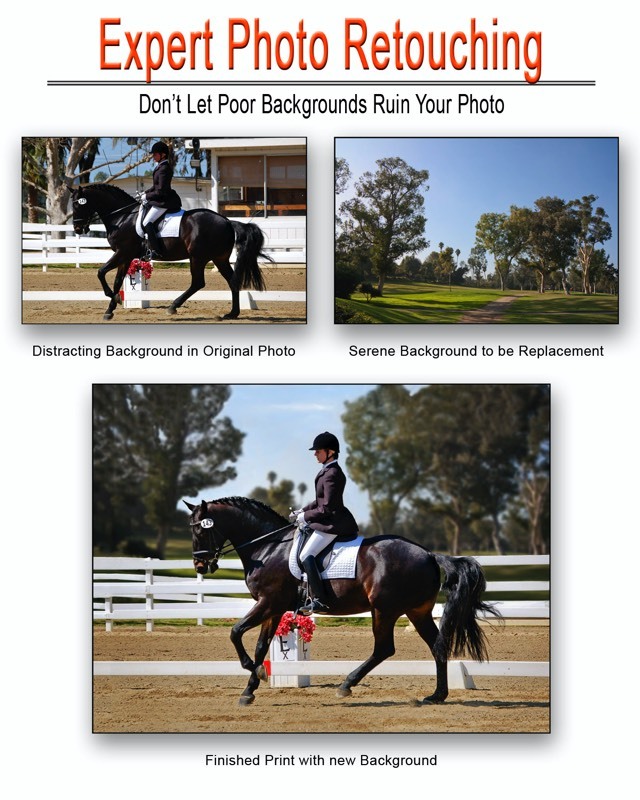 Don't let unattractive backgrounds ruin your photo. We can remove unwanted backgrounds and replace them with an attractive background that will enhance your photo. We can also remove red eye, blemishes, reduce age appearance, give you a digital diet, whiten teeth and around eyes, and remove unwanted objects or people. Restoration is one of our in-house services. Click the Contact Us button for our contact information. How it Works It's never been easier to get your photos restored than it is today. Just bring in your photograph and we'll scan it. In three to five business days come back to our store to pick up your prints. It's that easy!